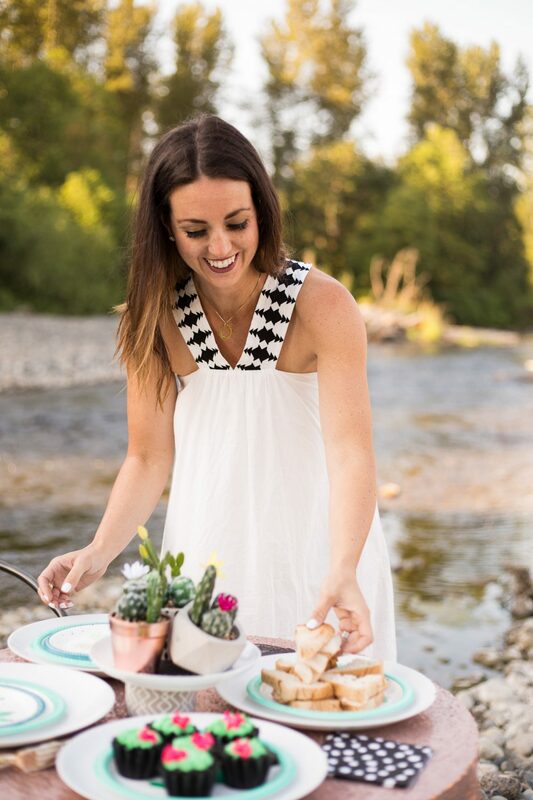 Summer time is for warm weather, building memories and exploring! We have been having so much fun traveling this summer but sometimes the best adventures can be found in your own back yard. We are fortunate to live out in the country within walking distance to the river and we spend A LOT of time there in the summer. 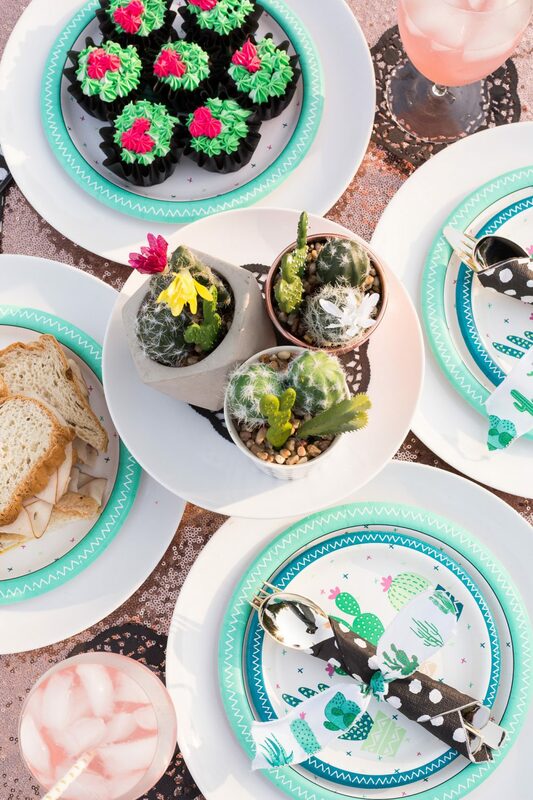 In fact, so much time that I thought it would make the perfect back drop to showcase this sweet Cactus Party I put together with the adorable cactus line at JOANN stores. I was browsing the aisles of JOANN Stores the other day and fell in love with all the adorable cactus decor they have out this summer! 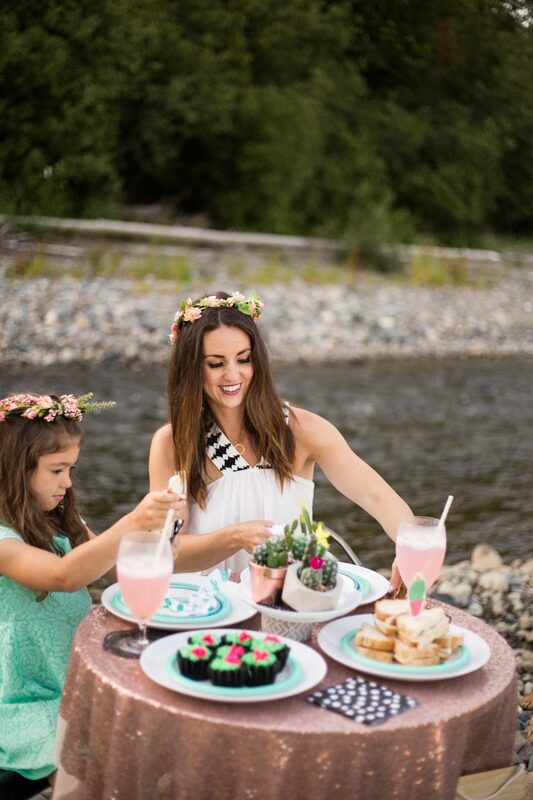 I knew it would make a cute summer party theme and snagged up a bunch of pieces to show you! 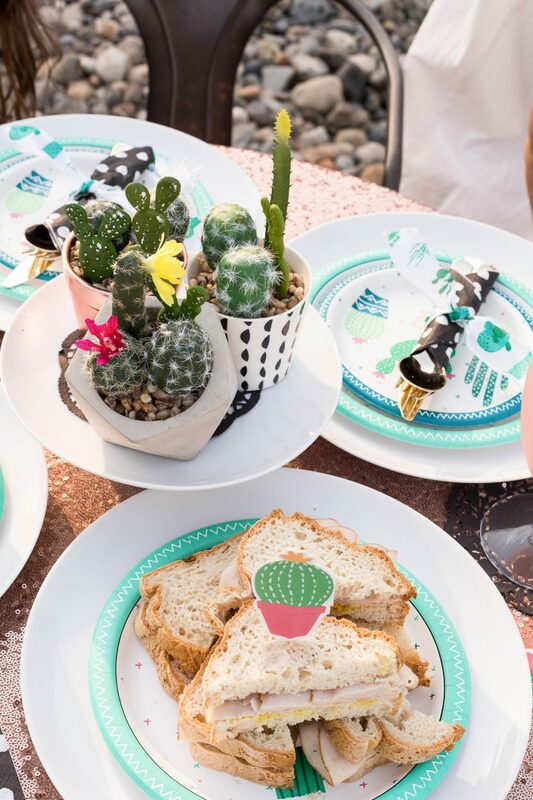 I wanted to put my own little twist on a cactus party by turning it into a little modern glam cactus party for two! 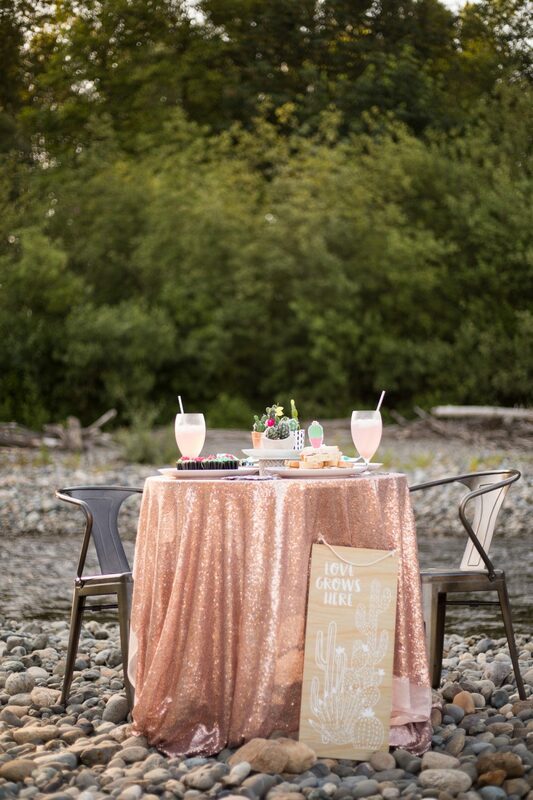 To create the look, I paired the casual cactus decor and party supplies with this rose gold sequin fabric and touches of black and white. Let’s take a closer look. When decorating a table, I always start with my centerpiece and work around it. It’s the focal point of the table so I like to give it a little height. I kept this one simple by putting three little cacti together on a white dinner plate and adding a little pedestal underneath. 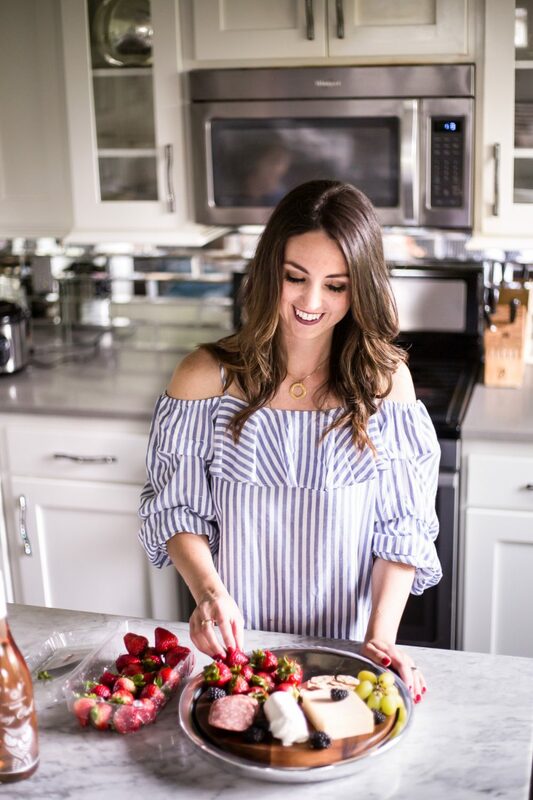 Just goes to show that you can create a centerpiece out of just about anything in the kitchen! Staying true to my style, I had to add at least a few touches of black and white in this table design! 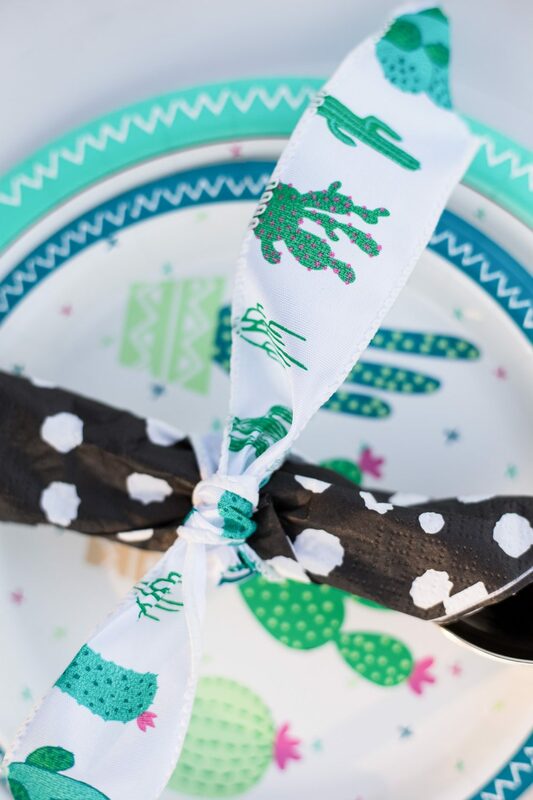 These black and white polka dot napkins can be found in the party aisle and I wrapped them this adorable cactus ribbon! A simple touch that adds a pop. 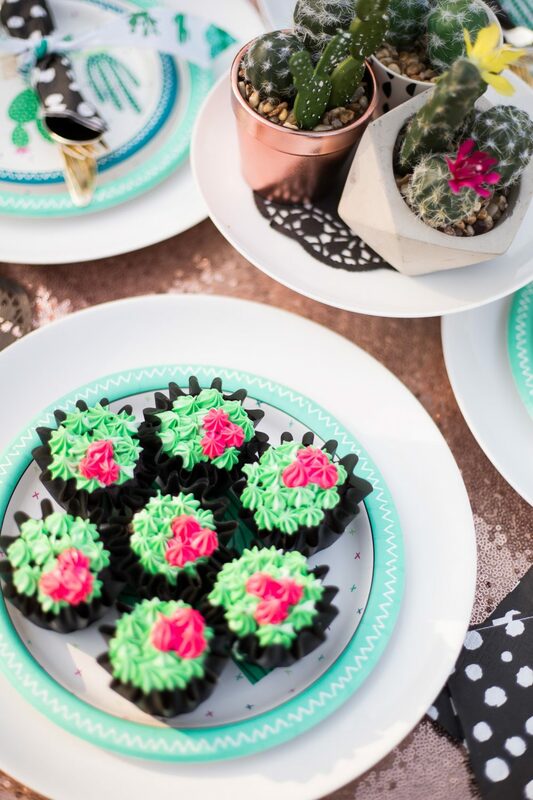 I saw so many cute cactus/succulent cupcakes on both the JOANN and Wilton sites, that I decided to attempt my own for this party! 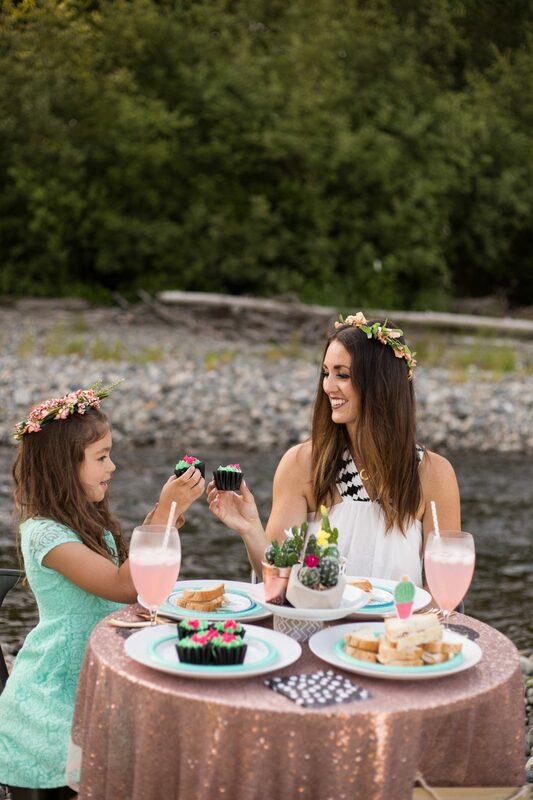 I found these black wave cupcake cake liners by Wilton and loved them! And then went to town with a piping bag and frosting tip! While I am not a professional cake decorator, it was a fun project and added a fun treat to our table! This sweet lady is my oldest and only girl, and I love doing girlie things with her. 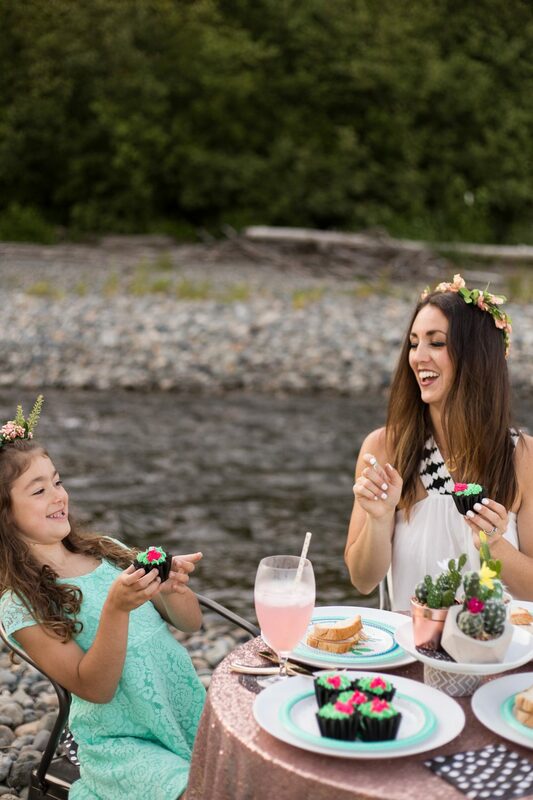 I loved having her part of this shoot with me, it was fun to pretend we were princesses for the morning and eat cupcakes before the sun came up :) Cheers! 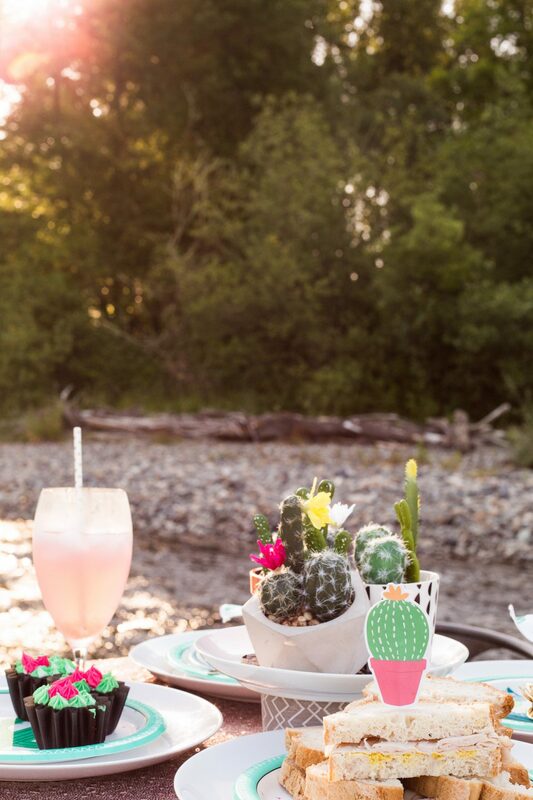 These cute little cactus toothpicks are perfect for food platters, cupcakes, or even stick a lemon on the end and put it in a nice drink! 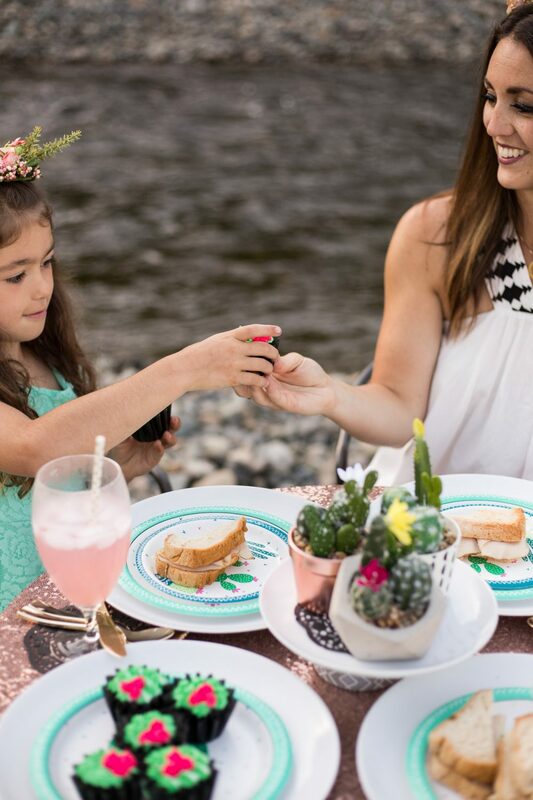 Just another way to add a little festive flair to the party. 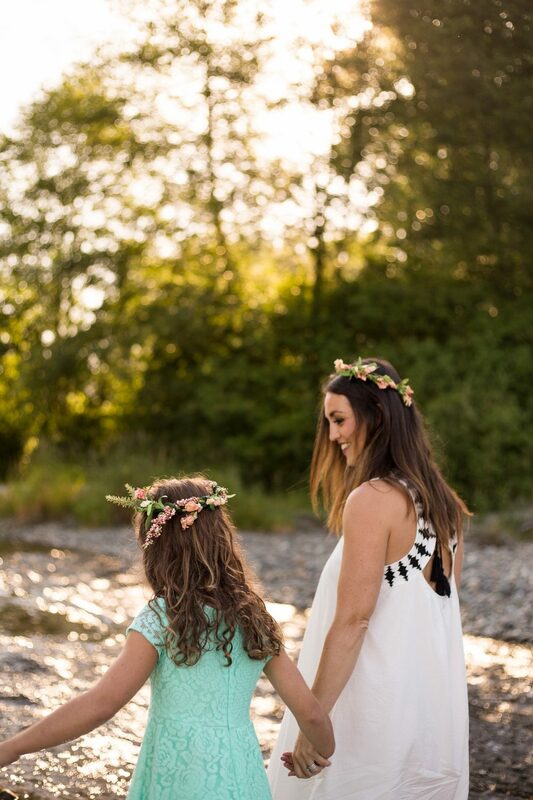 And since we felt like princesses all morning, it was only appropriate to wear flower crowns to play the part! 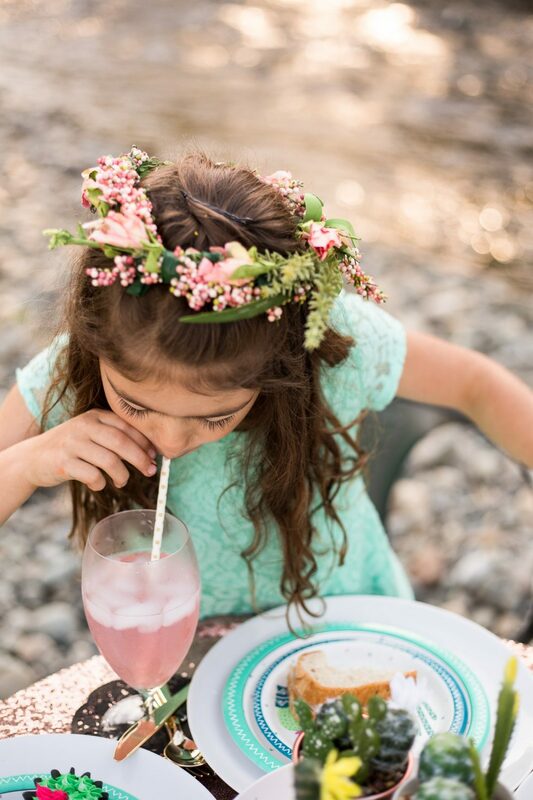 I made these DIY flower crowns using some wire rings and faux flowers from the floral section at JOANN and I’ll have a tutorial up tomorrow on them! If you want to know where I am most of the summer, it’s right here. There might not be a fancy table set up all the time but this is our play ground almost everyday. I cherish every second of it. 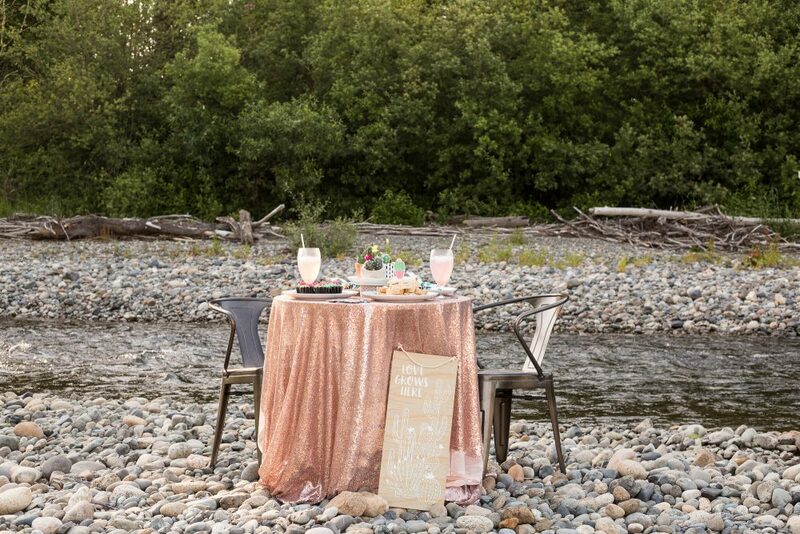 Special thanks to Shaylynn Marie Photography for the amazing photos for this shoot. Such an adorable little set up!